We're very close to having enough interest to manufacture another batch of SkeinMinders. If you're interested in one, please add your name to the wait list. Depending on the number of people, we'll be able to either manufacture a batch of 50 or 100. If we can build 100, then the price drops a little for everyone! More information was in our latest newsletter, if you're not already on it, please join us. ​YOU HAVE BETTER THINGS TO DO THAN WATCH YOUR WINDER ALL DAY. Wind skeins from cones - now you can twist and tag yarn while the SkeinMinder controls your winder. Have two winders? Now you can keep winding on one, while you're tying off skeins on the other. Wind minis from hanks - with the SkeinMinder on your winder, all you have to do is calmly stop the swift. No more yarn barf messes! 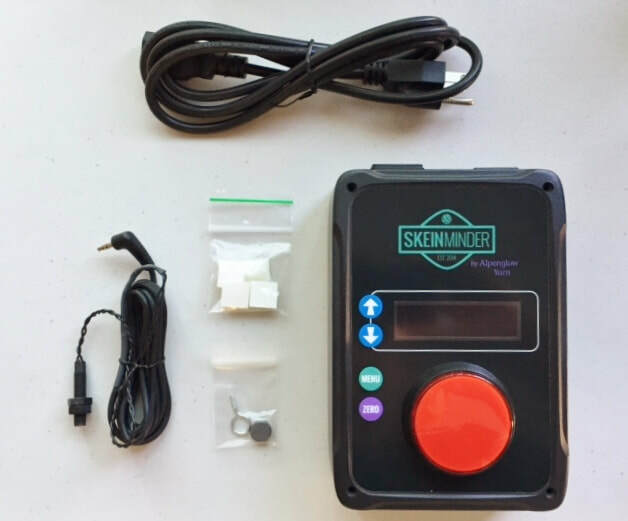 Re-skein full skeins - the SkeinMinder can automatically detect when there's no more yarn on the swift, and shut off your winder.